Why should James Bond get all the fun? 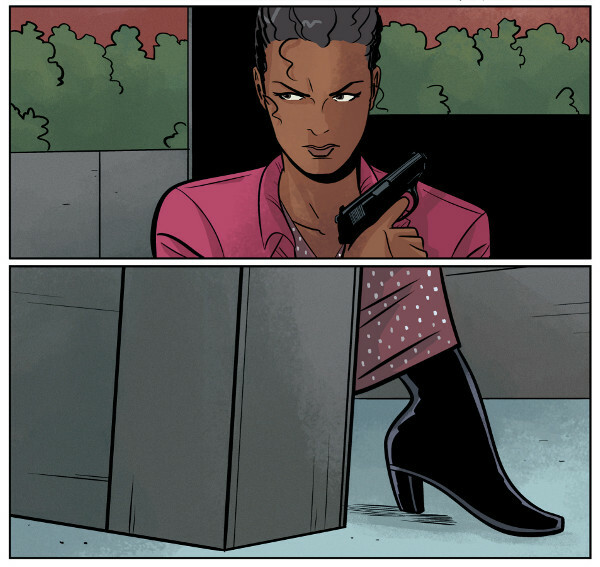 This one-shot focuses on one of the British agent's most famous supporting characters: Miss Moneypenny. Taking the cue from the Daniel Craig rebeoot, this Moneypenny isn't just a mousey secretary but a highly-trained former field agent promoted to an important new job: protecting the head of the Secret Intelligence Service, M.
A new string of burglaries along the French Rivieria prompt police to suspect the notorious John Robie (Cary Grant) has returned to his life of crime. The trouble is Robie is innocent. However no one, not the police nor his former friends, will believe him. With the help of an insurance agent (John Willliams) Robie hatches a plan to catch the thief in the act and clear his name. Our retired thief cleverly insinuates himself into the lives of a wealthy widow (Jessie Royce Landis) and her beautiful daughter Fraces (Grace Kelly) knowing that their jewels will be on the list of the imposter. What he doesn’t anticipate is Frances recognizing him as the Cat and still being attracted to him. In terms of enjoyment and escapism there are few films as well made as this one. 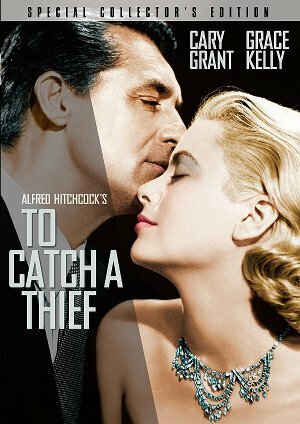 Though not on the level of some of Alfred Hitchcock‘s more important films like Psycho or Rear Window (also starring Grace Kelly, read that review) aside from North By Northwest it’s the most fun film the great director ever made. Dolly Wells stars as a documentary filmmaker with a personal vendetta against marriage who sets out to prove that the concept no longer works in a modern world. 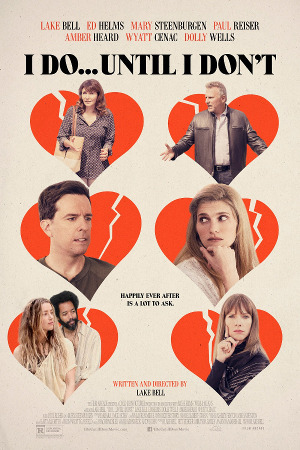 In order to prove her thesis that matrimony should only last for seven years (with an option to renew), the filmmaker sets her sights on three unhappy Florida couples: a pair of senior citizens (Paul Reiser and Mary Steenburgen), a middle-aged couple (Lake Bell and Ed Helms) struggling with money and starting a family, and pair of free-love hippies (Wyatt Cenac and Amber Heard). Writer, director, and star Lake Bell may have won me over with 2013's In a World..., but her latest is severely lacking in charm (while sadly having no lack of cliche to fall back on). After an hour of insufferable characters who only really begin to show small moments humanity in the film's last half-hour, I Do... Until I Don't is like the first date from hell that only gets bearable as it nears its end. Even the few moments of genuine emotion we see in the last half-hour are sullied by the script falling back into the contrivance of the filmmaker's project in its final few moments. 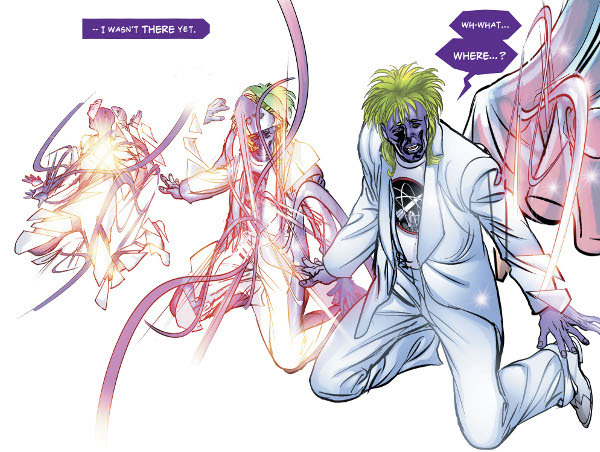 The death of Ben Reilly's patient marks the end of Kaine's patience. However, before pitting the two Scarlet Spiders against each other once more, the comic introduces a wild card in Marlo Chandler-Jones who seems to have an unusual effect on both Ben and Kaine. 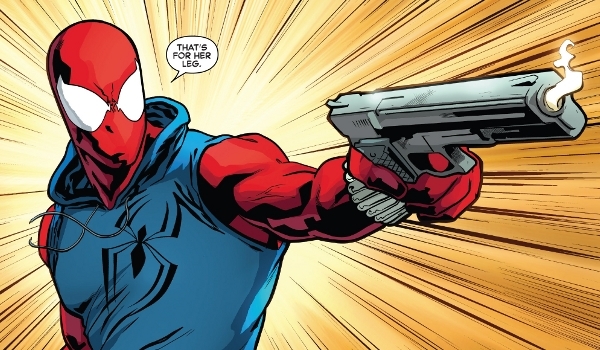 Inspiring Ben to go after a pair of thugs shooting up Las Vegas, the Scarlet Spider jumps into action (although he does have to be talked out of gunning down the villains in the middle of the street by one of their would-be victims). 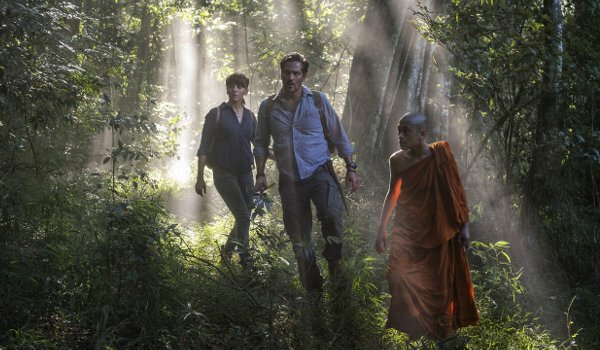 Despite his attempts to keep her out of his latest expedition, Alex (Ophelia Lovibond) shows up in Cambodia to help Hooten (Michael Landes) hunt for the Cintamani jewel. 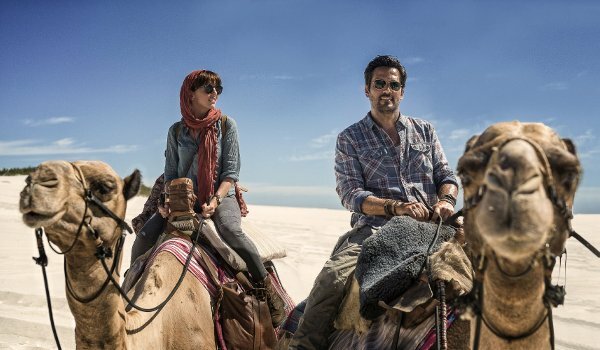 With the help of a local kid (Jay Heyman), Hooten has been able to find most of the relics needed, although he'll need Alex's help to get past some drug runners and decipher the clues leading to the jewel's location. The trouble is that they aren't the only ones on the hunt. Hooten's old partner Kane (Vincent Regan) is also searching for the prize. 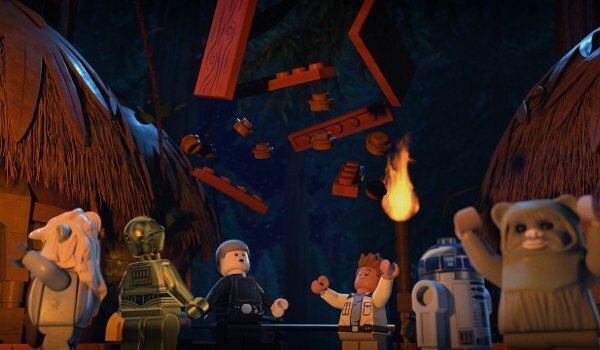 Set during the Battle of Endor, the season finale of LEGO Star Wars: The Freemaker Adventures offers the final confrontation between Rowan (Nicolas Cantu) and M-OC (James Urbaniak) deep in the bowels of the second Death Star as the Rebels race to destroy the Emperor's super-weapon. Along the way the Freemakers will also get thrown into the detention block, Zander (Eugene Byrd) will get his moment with Becky Smoochenbacher, and the Freemakers will celebrate the Rebellion's victory - Ewok style. "Return of the Return of the Jedi" isn't really a stand-out, but it proves to be a satisfactory conclusion to the season's arc. 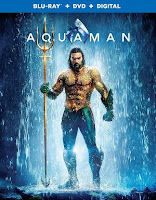 Kaldur'ahm's underwater father-son bonding with Black Manta doesn't go quite according to plan when the super-villain uses the boy to retrieve a weapon to make Black Manta the most powerful super-villain of the seas. 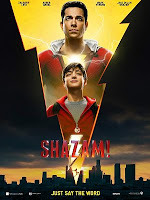 Thankfully the Titans arrive in time to offers some back-up and give their friend the encouragement he needs to stand-up to his father and become the new Aqualad. It's not unusual for Rick and Morty to offer a twist after the initial set-up. The set-up here is a long-overdue vacation leads Rick and Morty to cleanse themselves and relax in the galaxy's best spa. During this time off, Rick (Justin Roiland) and Morty (Roiland) relieve themselves of the mental toxins as well as physical, leaving behind copies of what each sees as the worst parts of themselves. What's in the toxic versions of both Rick and Morty says a lot about both characters. Morty's insecurities and self-doubt are left behind. 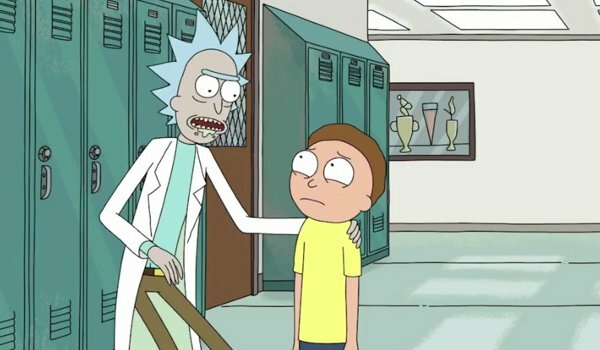 For Rick, his more evil machinations are obviously cleansed but so are his feelings for Morty (which the scientist sees as a weakness). Two queens, a dead man, and a dwarf walk into an arena. 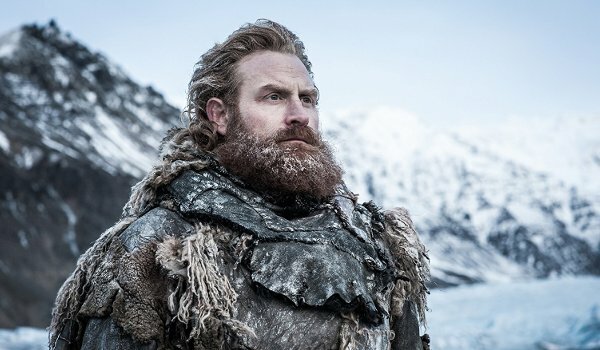 It's the custom of Game of Thrones to offer a huge battle in the penultimate episode of each season while leaving the season finale to pick up the pieces, tie off various loose ends, and set the stage for the next year. "The Dragon and the Wolf" does all these things as it brings Daenerys (Emilia Clarke) and Cersei (Lena Headey) face-to-face for the first time. 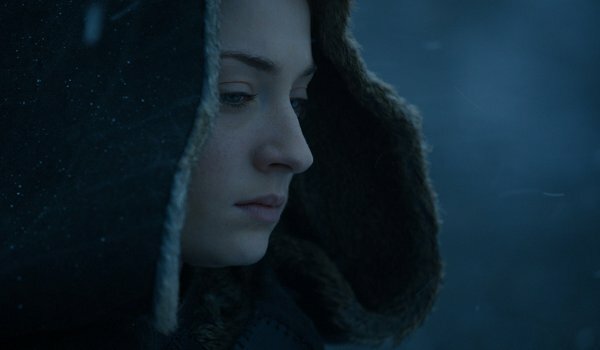 While the possibility of a truce doesn't interest the Queen of Westeros, the proof of what is coming for them all beyond the wall can't be denied. Daenerys' show of strength also isn't lost on Cersei. Letting herself be talked into a truce by the one man she hates more than any other in the world, Cersei gives Daenerys what she was hoping for... except she has no plans to actually fulfill her promise to help protect the seven kingdoms against the army of the dead. So much for a Lannister always paying their debts. Before the Dark Knight can turn his attention to searching for his missing partner he needs to track down Tim Drake's significant other who has traded in her Bat-Family membership for an alliance with Anarky. First created by Alan Grant and Norm Breyfogle back in 1989, Anarky is an unusual villain with a focus on justice through chaos. The current Rebirth version seems a bit more stable than some incarnations of the character over the years, although we've seen only the briefest glimpse. 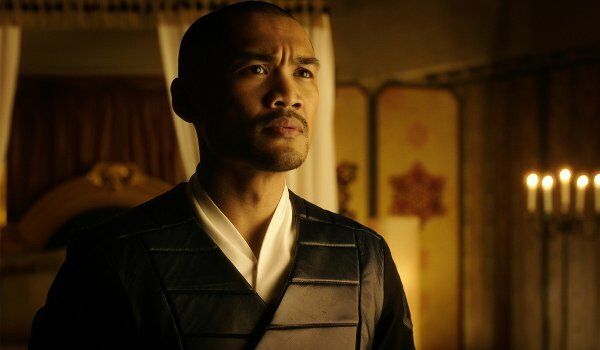 Dark Matter closes out its Third Season with a bit of a messy episode which opens with Two (Melissa O'Neil choosing not to shoot Ryo (Alex Mallari Jr.) and closes with the death of a member of the Raza's crew and the arrival of an armada of black ships through a breach in space-time. While overburdened a bit with too much plot, the episode certainly provides its share of memorable moments including Two's betrayal, the resurrection of the alien storyline, Three's (Anthony Lemke) capture, and the destruction of both the Blink Drive and the Marauder. 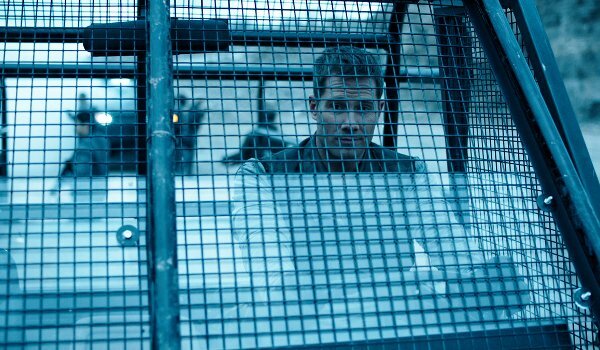 The penultimate episode of Killjoys' Third Season deals primarily with D'Avin (Luke Macfarlane) attempting to come up with a plan to stop Aneela (Hannah John-Kamen) that doesn't involve Dutch's (John-Kamen) death as well. The idea of leading her crazy doppelganger into a trap through a fake memory placed within the Green is a good one, but (as is often the case) things hardly go according to plan. Meanwhile, Johnny (Aaron Ashmore) has his hands full with the arrival of a pregnant Delle Seyah Kendry (Mayko Nguyen) under a flag of truce. And, based on the episode's final scene, she's not the only one who has made an unexpected visit. Keith (Steven Yeun) and Prince Lotor (A.J. Locasio) both prove themselves flawed leaders in "The Hunted." Noticing the Voltron team isn't the same as the one which beat his father, Lotor lures the paladins of Voltron into a trap where he can pick off the lions one-by-one. Keith's stubbornness leads the paladins into the trap, despite the concerns of his teammates. However, Lotor proves a bit too cautious for his own good as his attacks only help Princess Allura (Kimberly Brooks) make a connection to the Blue Lion and bring the paladins together as a team once more. Introduced early in the current run of Astro City as part narrator and part guide, the true identity and agenda of the Broken Man has been in question. Tying back to the recent musical-history-inspired stories of Jazzbaby and Glamorax, Astro City #46 finally reveals the true origins of the Broken Man and his first contact with dark entity known as the Oubor. For more super-heroes check out Super-Hero Pack 1, Pack 2, Pack 3, Pack 4, Wonder Woman Pack 1, Black Cat Pack 1, Lara Croft Pack 1, and Harley Quinn Pack 1, Pack 2, Pack 3, Pack 4, Birds of Prey Pack 1, Memorial Day Pack 1, X-Men Pack 1, and the X-Mas Mega Pack. The slow inter-connection between Netflix's four Marvel super-hero shows begins here as Misty Knight's (Simone Missick) multiple run-ins with Jessica Jones (Krysten Ritter) and the bitchy private eye's proximity to dead bodies, which also allows her to meet a certain Hell's Kitchen lawyer, and the more violent meeting between Danny Rand (Finn Jones) and Luke Cage (Mike Colter) whose separate investigations lead them to the same warehouse where the Chaste have been slaughtered. The Cage/Iron Fist battle is pretty much run-of-the-mill comic story with two heroes mistaking each other for adversaries and duking it out before discovering they are on the same side. While the Knight/Jones interaction is less explosive, it does help set the stage for the police getting involved in the heroes' battle with the Hand. 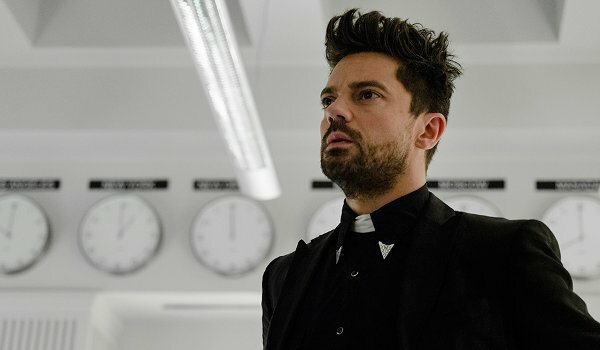 Preacher is about a fallen preacher lost in the world searching for a God who has abandoned humanity. "Dirty Little Secret" fills in a bit more about the Grail Corporation which is, like everything else divine we've seen, pretty fucked up. 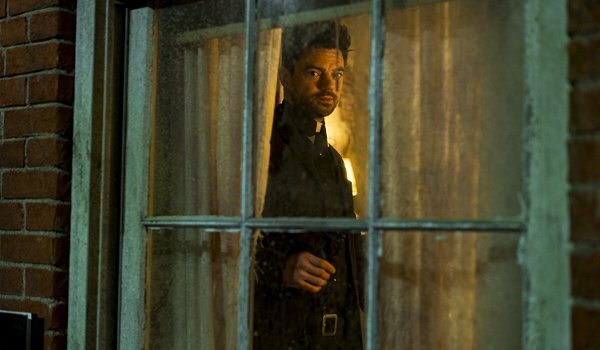 Keeping the inbred descendants of Jesus Christ secluded from the world so that one might someday rise to power is an oddball plan, particularly after Jesse (Dominic Cooper) discovers just how inbred the latest descendent turns out to be. The episode also lets us in on why Herr Starr (Pip Torrens) is all the sudden less murdery towards Jesse and his friends as he sees in the preacher an alternative to the organization's flawed plans. 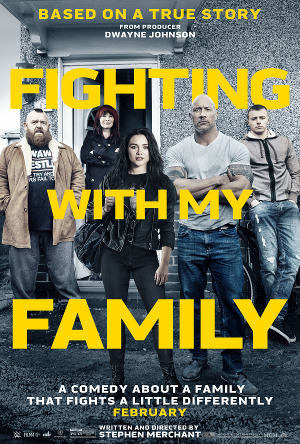 Much like the source material of comic writer Garth Ennis' original work, the themes of AMC's TV-series of the same name is anything but subtle. Pressured by Morty (Justin Roiland) to take the depressed Jerry (Chris Parnell) out on an adventure, Rick (Roiland) drags his reluctant son-in-law into space to an intergalactic resort sporting an immortality field which makes it impossible for the guests to die... at least as long as you stay inside the field. There the usually timid ad man will be tempted by the ridiculously named Risotto Groupon (Clancy Brown) to join in on a conspiracy to kill the mad scientist who ruined his family. The worst plan ever backfires on Jon Snow (Kit Harington) and his companions. Shocker! An indeterminate distance above the wall the attempt to capture a single undead soldier gets the entire group surrounded by White Walkers and their undead enemy. On an island, separated by the harsh arctic water, the group stills themselves for when the water re-freezes and the undead army can march once more. Despite the risk to herself, and the loss of one of her dragons to the enemy (okay, how cool was that last scene? ), Daenerys Targaryen (Emilia Clarke) rides to the rescues getting the remainder of the fellowship, other than Snow, out alive. There's plenty of action here (although the show once again plays very loose with things like time and distance). Snow's survival is also a bit unbelievable given the chain of events. 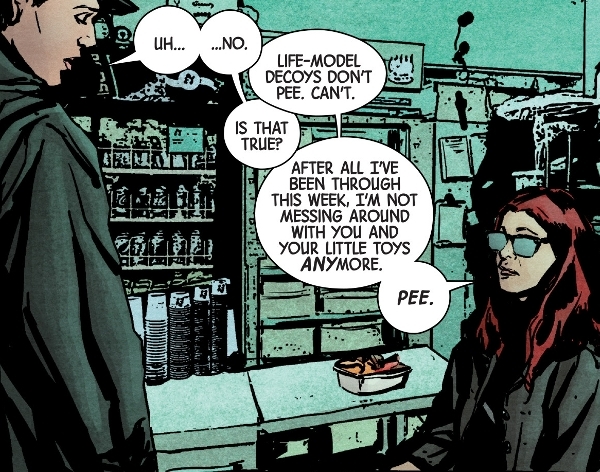 Batman #29 is a bizarre issue. I never thought I would see Batman offer criminals a huge payday to continue their mayhem in Gotham City. 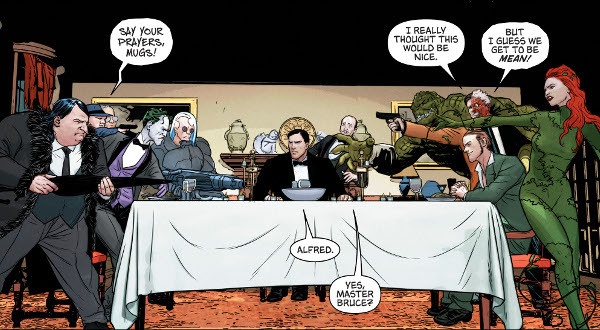 The entire comic takes place at the Wayne Manor dinner table where Bruce Wayne has gathered both the Riddler and the Joker (and some of their top lieutenants). With the War of Jokes and Riddles raging, and Batman impotent to stop it, Batman decides to... throw a dinner party? 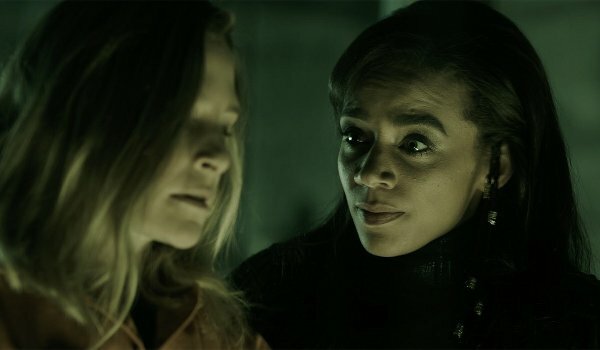 Unaware of the chaos aboard the Hullen ship where Aneela (Hannah John-Kamen) is desperately searching for Delle Seyah Kendry (Mayko Nguyen) and consumed with taking back control of the green, the Killjoys come up with a plan to even the odds against their enemy. However, they're going to need some unusual tech to do so. Buying some information off some less-than-trustworthy allies who end up betraying them, Dutch (John-Kamen), Johnny (Aaron Ashmore), and D'Avin (Luke Macfarlane) head out to steal a sonic amplifier and, as usually happens wit the Killjoys' plans, things go wrong rather quickly. 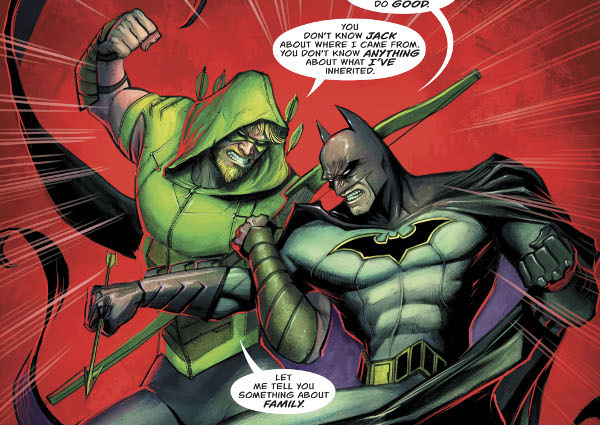 Green Arrow's road trip leads him to Gotham City where the reality of being a spoiled rich boy running away from his troubles is put to good use getting him one-step closer to answers as his investigation into Ninth Circle leads the Emerald Archer into the Court of Owls. The future prophecies continue to come true as Three (Anthony Lemke), Five (Jodelle Ferland), and Six (Roger Cross) use Transfer Transit to visit Zairon to hear out Ryo (Alex Mallari Jr.) and recover the Raza's missing crewmate. Hoping to butter-up his guests, and throw them off-guard, Ryo uses his knowledge of their past to offer a gift to each of them. A coup d'état ends the proceedings as the populace rises up against Ryo and Misaki (Ellen Wong) attempts to kill her emperor. "Heart of the Amazon" continues with David Messina taking over the artistic duties for Mirka Andolfo. There's a noticeable change in style between the pair, and I can't help but feel a bit letdown by the change. Following her friend's injury, Diana vows to help Etta Candy recover after the government agent is released from the hospital. 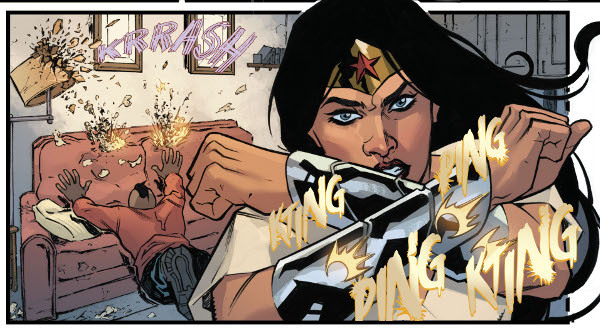 Still guilty over not being able to protect her friend from harm, Diana's day isn't going to get any better when an assassin shows up targeting the Amazon and putting Etta in further danger. For a show that had 65 previous episodes to set-up all the characters necessary to tell a combined storyline, the first episode of The Defenders spends an awful long time reintroducing us to the characters from each show. Luke Cage (Mike Colter) is released from prison, thanks in part to the help of Foggy Nelson (Elden Henson), and returns to Harlem and Claire (Rosario Dawson). 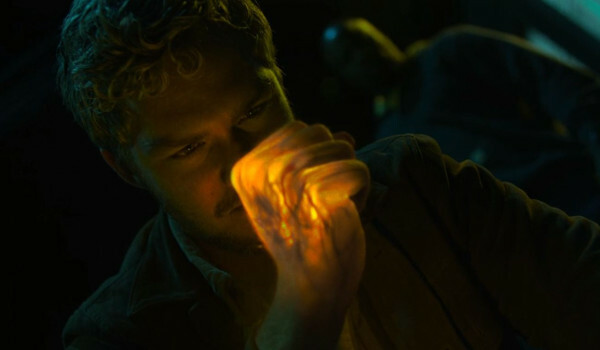 Danny Rand (Finn Jones) and Colleen (Jessica Henwick) stop their worldwide travels searching for the Hand and return to New York after an encounter with a familiar deadly warrior. 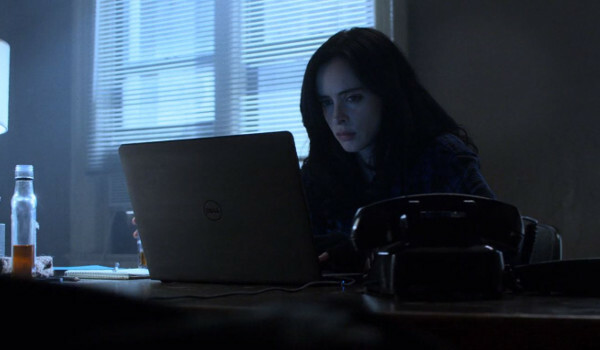 Jessica Jones (Krysten Ritter) is slowly drinking herself to death and refusing to take any case until threatened to stay away from the search for a missing architect piques her interest. And Matt Murdock (Charlie Cox), long since putting his horned-mask and billy-club aside, continues to struggle against leaving that part of his life behind. After doing several sets of cosplay trading cards, I thought I'd do a few movie cards. When searching for something, anything, positive to say about a bad movie you can almost always fall back on "Well, at least it was in focus." Sadly, I can't even offer that most basic of compliments to The Hitman's Bodyguard in which any strong ambient light destroys the focus of the shot, highlighting characters in a fuzzy glow while blurring out the entire background in a bizarrely amateurish manner. 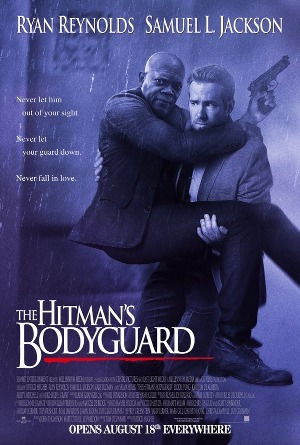 Ryan Reynolds and Samuel L. Jackson star in an uninspired buddy comedy about a once-proud bodyguard and his newest client, a man who has attempted to kill him on numerous occasions, who he needs to deliver in time to testify against a bland movie villain (Gary Oldman) for reasons that only makes sense in a script where things explode for no reason whatsoever. Although there are some minor chuckles to be had (mostly from the pair adlibbing), and one strong chase sequence around the canals of Amsterdam, The Hitman's Bodyguard is an uninspired mess featuring two actors screaming at each other for the better part of two hours. 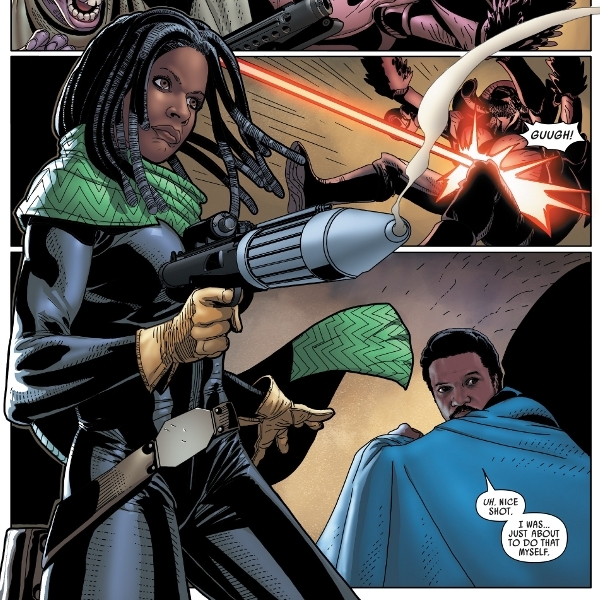 Temporarily leaving behind the battle between the Empire and the Rebellion, Star Wars #34 offers a fun adventure with the unexpected team-up of Sana Starros and Lando Calrissian. The former ropes the later into a complicated con involving the selling of stolen Imperial blasters to multiple buyers including space pirates, Hutts, and even the Empire itself. Her quick thinking and manipulation of each situation can't help but impress her fellow scoundrel (even when she puts his life in danger). 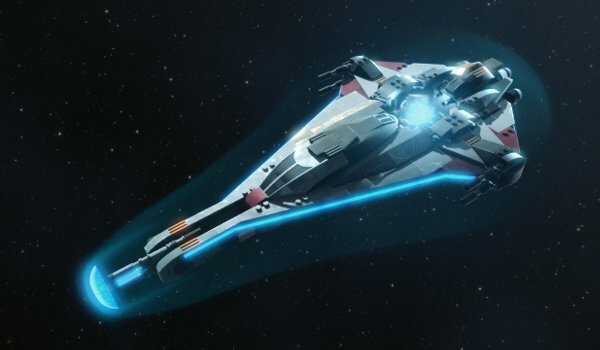 Sadly, for the lovable scoundrel, Lando will never see the payday for all his help. Shadowhunters closes its Third Season by wrapping up the Valentine (Alan Van Sprang) storyline, laying the foundation for multiple conflicts next season, reigniting old passions, and (temporarily) killing a major character. Armed with the Mortal Cup and the Mortal Sword, Valentine travels to Lake Lynn to complete his master plan. The villain is successful in raising the angel Raziel, but he won't live long enough to see his dream of a world without Downworlders come to fruition when he's cut down by his daughter (rather easily concerning how easily he was throwing her around like a rag doll only minutes before) who uses the one wish granted by the angel to restore Jace (Dominic Sherwood) to life. 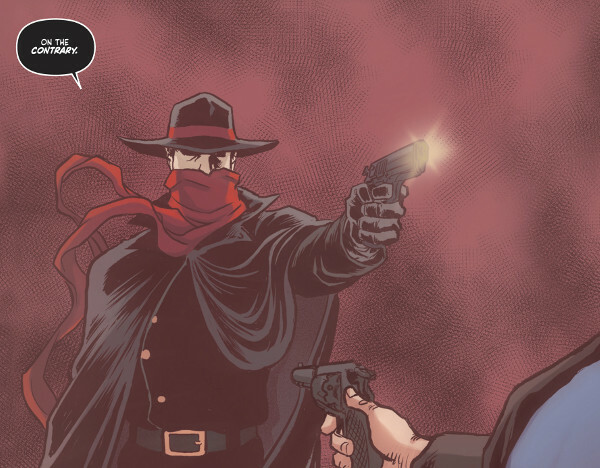 Writers Simon Spurrier and Dan Watters are not the first who have attempted to update The Shadow and bring the vigilante into a more modern storyline. 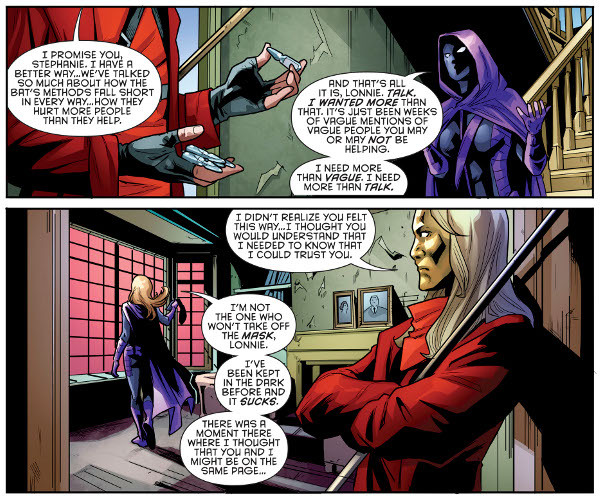 It's a problematic decision as the world of the Shadow, including the age in which he was born and prospered, is very much tied to the core of the character. The first issue gives us stories of the Shadow, a legend half-forgotten. Our narrator is not either Lamont Cranston nor Margo Lane. The later doesn't appear in the issue (which, aside from flashbacks, may be true of the former as well). Initially seeing Jesse Custer (Dominic Cooper) as nothing more than other false idol for Grail Industries to kill and bury, Klaus Starr (Pip Torrens) sends a team to do just that. While the preacher's survival infuriates Starr, and causes him to call for a drone strike on Jesse and his friends, something found in the surveillance footage of the apartment will give the man an entirely different perspective on the matter and give him the puzzle piece he has long been searching for. Musical chairs is the theme of the second episode of Voltron's Third Season. With the Black Lion's acceptance of Keith (Steven Yeun) as its new paladin a new spot opens up in the team. 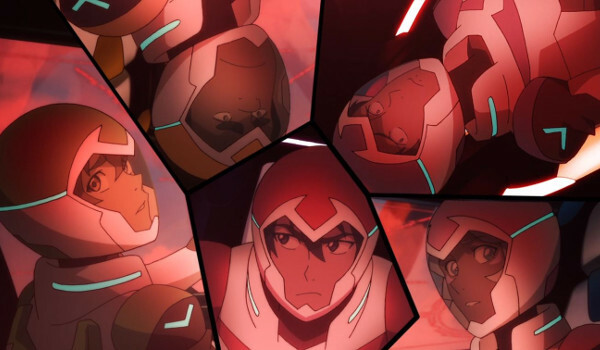 For his acceptance of Keith's new role, Lance (Jeremy Shada) is accepted as the paladin of the Red Lion leaving the Blue Lion available for Princess Allura (Kimberly Brooks). With a line-up that more closely resembles that of the original Voltron cartoon, Voltron now again has five paladins to protect the universe. And it seems the universe does need protecting. From the moment Morty (Justin Roiland) shows Rick (Roiland) his stamp card telling his grandfather the tenth adventure will be with the Vindicators, Rick is a sullen prick (so... pretty much the norm). First, how great is it that Morty has a stamp card? And that Rick's "reward" for putting his grandson through all types of horror is to allow him to pick a single adventure for every ten Morty gets dragged on? Rick isn't pleased to see the Vindicators again, insensitively mocking the heroes as the prepare to stop Worldender from... well, ending worlds I guess. Worldender isn't he villain of he episode, however, it's Rick. 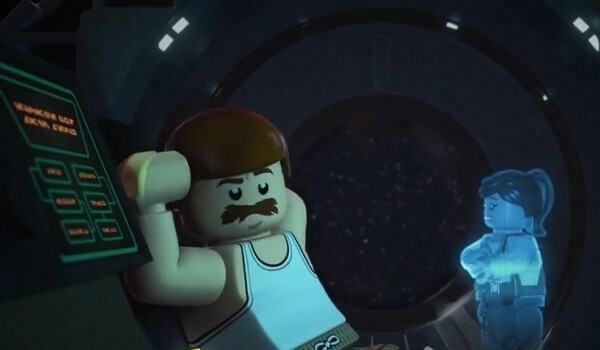 The Second Season of LEGO Star Wars: The Freemaker Adventures has been about completing Rowan's (Nicolas Cantu) vision of the ship that will save the Rebellion. After retreiving the final piece, and getting out of the fray of the Rebellion's latest skirmish wit the Empire, the Freemakers and head to the deserts of Jakku along with Quarrie (Corey Burton) and Valeria (Yvette Nicole Brown) to finish the Arrowhead in seclusion. However, it turns out the desert isn't quite as abandoned as they believed. 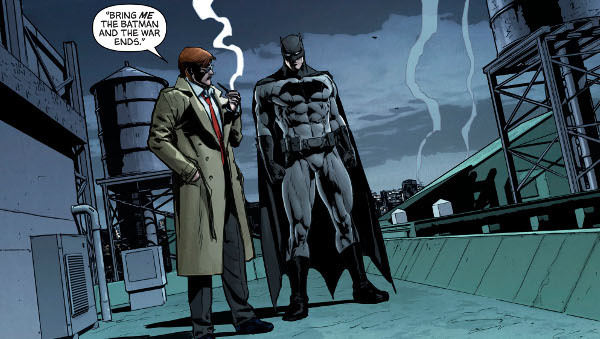 Bizarro, and his connection to the other two Outlaws, is the focus of Red Hood and the Outlaws #13. With their friend dying, Red Hood and Artemis go to the one person who they believe might be able to save him, the Superman clone's creator - Lex Luthor. 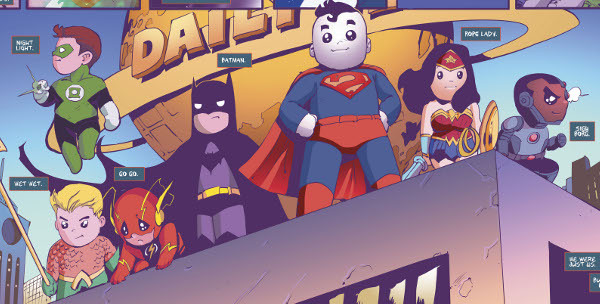 Choosing to help, while threatening legal action for theft of his property, Luthor gets to work on Bizarro as Red Hood and Artemis become introspective about how the odd creature has brought them together. While the first group of Outlaws was thrown together, this group has bonded in large part thanks to a super-powered white-skinned moron. After her resounding victory of dismantling the Lannister army, Daenerys Targaryen (Emilia Clarke) is left to dispense justice on the battlefield. The breaker of chains has no intention of taking prisoners, leaving the surrendering soldiers with the choice of serving a new queen or death by fire. 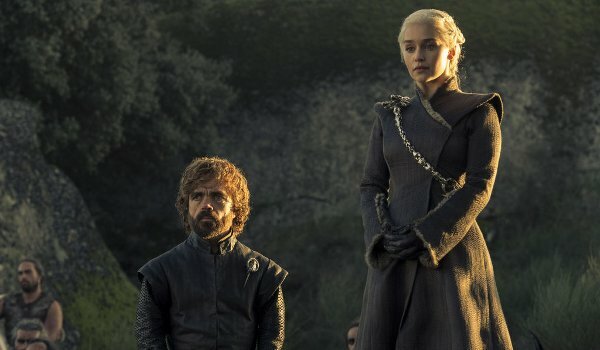 Returning , the Mother of Dragons is granted to a surprise in seeing how Drogon responds to Jon Snow (Kit Harington), in another small moment the show continues to build the trust between the wary allies while keeping the truth of Jon's paternity from the both of them... at least for now. A little knowledge can be dangerous. Information from their recent rendevouz sends the crew of the Raza to a secret Dwarf Star base where they discover that Two (Melissa O'Neil) is far from the only one of her kind. 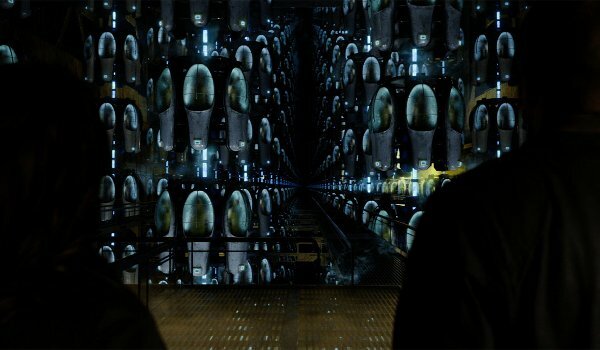 The facility houses thousands of sentient biological machines, all with pre-made backstories ready to be awoken and unleashed upon the galaxy. However, that's not the most disturbing part of what they find on the station. Confirming Three's (Anthony Lemke) recent nightmares, the Raza find a gateway where alien parasites await to come through and take control of their willing synthetic hosts. The arrival of a Mikkei ship doesn't help situations, especially when Five (Jodelle Ferland) discovers one of their soldiers is another synthetic agent. 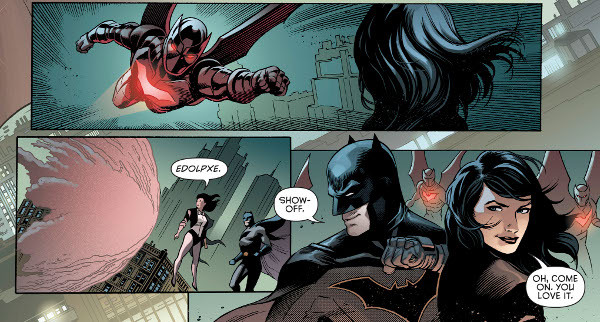 Although Batman: Knightfall and its events apparently don't exist in the new Rebirth DCU, Detective Comics #962 offers some fan service to the storyline that saw Azrael temporarily step-in as Batman. 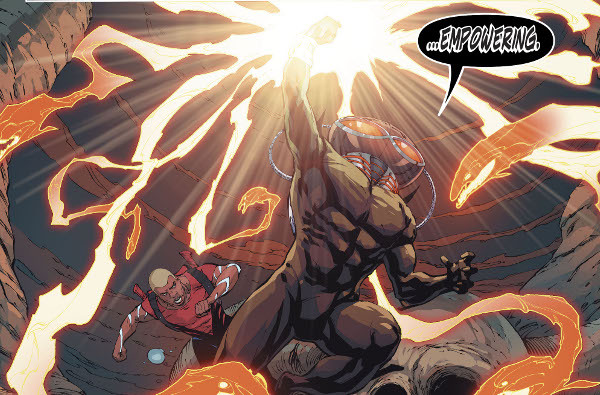 With the former soldier of St. Dumas out of control, the Bat Family put Azrael in a new suit of armor giving him added support against the voices of Ascalon and the programming which is trying to reassert itself on him. 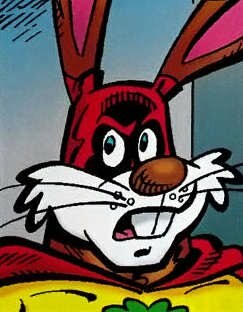 That suit jumps happens to have a familiar design. The nature of Dutch's (Hannah John-Kamen) connection to both Khlyen (Rob Stewart) and Aneela (John-Kamen) has been one the show's writers have kept close to the vest, until now. 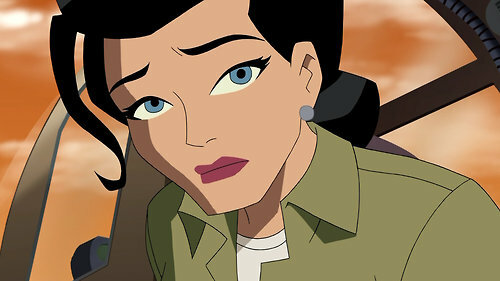 With the help of Zeph (Kelly McCormack), Dutch undergoes a risky medical procedure which allows her to see into the memories of Aneela allowing the Killjoy to discover the nature of Khlyen's relationship with her more evil and unstable doppelganger and better understand what led Klein to rescue her all those years ago. Like most of the show's reveals, it's about as bizarre as possible. And answers she finds only raises further questions for Dutch and who and what she is. For more super-heroes check out Super-Hero Pack 1, Pack 2, Pack 3, Pack 4, Wonder Woman Pack 1, Black Cat Pack 1, Lara Croft Pack 1, and Harley Quinn Pack 1, Pack 2, Pack 3, Pack 4, Birds of Prey Pack 1, Spidey Pack 1, Memorial Day Pack 1, X-Men Pack 1, and the X-Mas Mega Pack. 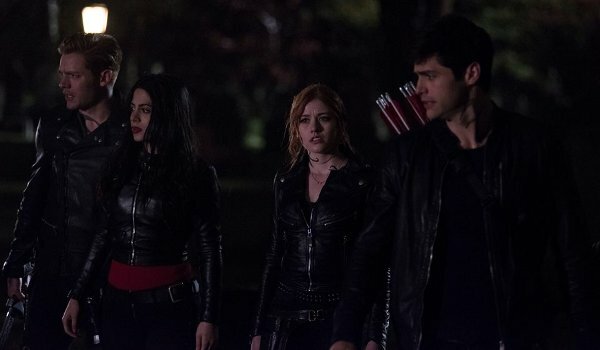 "Hail and Farewell" sets up next week's season finale and a confrontation between Clary (Katherine McNamara) and Jace (Dominic Sherwood) and Valentine (Alan Van Sprang). 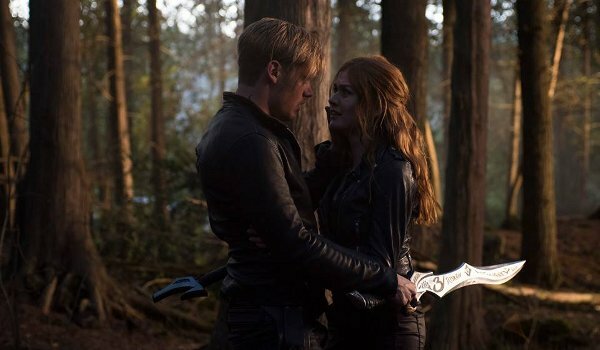 Before that happens, however, the Shadowhunters will square off against Jonathan (Will Tudor) and the truce between the Shadowhunters and the Downworlders will crumble as the vampires, mages, and werewolves choose to stand with the Seelie Queen (recast as Sarah Hyland, suggesting a much larger role for the character next season) and her plan to go after Valentine themselves rather than continue to rely on the Shadowhunters. Well... that's not what I was expecting. For those of you unfamiliar with the character, Mister Miracle is one of the New Gods created by Jack Kirby in 1971. A mix of escape artist and super-hero, Mister Miracle is best known by anyone from my generation as a member of the goofiest damn Justice League team ever assembled. This comic is anything but goofy. 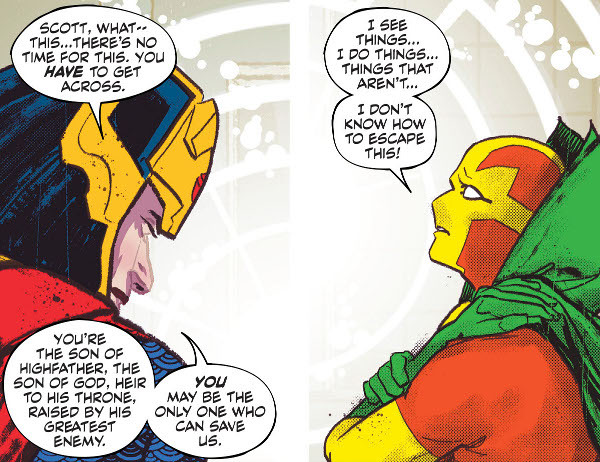 We're introduced to a Mister Miracle who isn't all there. Bruised and battered from a trick that went right (or possibly wrong) Scott heads home with Big Barda only to be haunted and hounded by a phrase (Darkseid Is) and hallucinations. "Holes" marks the return of the subplot of Eugene (Ian Colletti) and his time in Hell. Learning to act like the bullies who picked on him most of his life, Eugene has found a way to temporarily fit in. However, Hell's minions know that something isn't right and the cause is an individual who doesn't belong. Here's the rub - Euguene is obviously the ward's newest resident... so why isn't he the equally-obvious suspect? Eugene's personal Hell gets a bit more twisted when he's thrown into the pit for an act of kindness. 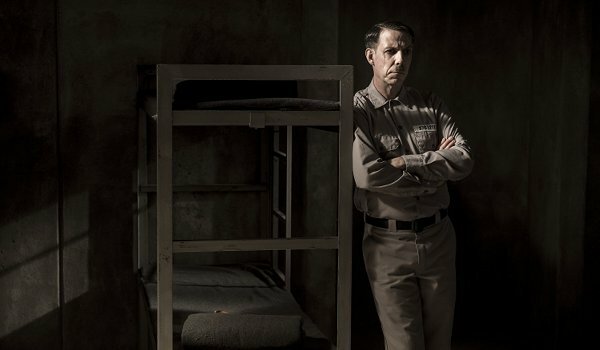 The Hell we see on display is less torturous and more generally fucked-up than anything else, but it's fucked-up enough for Eugene to take Hitler (Noah Taylor) and his offer of escape seriously. For the past few issues Jessica Jones has been hunting down the identity of the person who put a hit out on Maria Hill, former agent of S.H.I.E.L.D. and her current client. Things got complicated when evidence seemed to suggest Hill herself was responsible and a Life Model Decoy of Hill attempted to kill Jones in her office. After Ella (Jessica Hynes) is kidnapped and help for ransom, Lady Alex Lindo-Parker (Ophelia Lovibond) borrows an artifact from the British Museum and heads to Ethiopia. Tagging along, albeit disappointed in the lack of treasure, is Ulysses Hooten (Michael Landes). Playing on established themes, the episode features a dangerous woman (Katja Hopkins), villains in search of treasure, bickering by our two intrepid adventurers, and artifacts and clues meant to lead to some long-lost archaeological find - this time belonging to the Queen of Sheba. Batman's recounting of the War of Riddles and Jokes" continues (as does the return of his narration in a conversation with Catwoman). Things haven't improved for the good citizens of Gotham. The Joker and the Riddler have each carved half of the city for themselves, enlisting countless villains to their side in a war that rages on. From what we see there the sides appear fairly equal with Deadshot and Deathstroke getting prominent cameos. When he was first introduced in 2009 in Star Wars: The Clone Wars, I wonder if anyone thought Hondo Ohnaka (Jim Cummings) would still be going strong eight years later on other Star Wars animated properties. In "The Storms of Taul" Hondo offers to help the Freemakers search for a piece for the Arrowhead on the planet of Taul (which he forgets to mention is covered in acid rain and lightning storms). Hondo's betrayal of the group and the sudden appearance of M-OC (James Urbaniak) don't help matters. After turning himself into a pickle to avoid family therapy, Rick (Justin Roiland) has one hell of a day. What starts out as a cute, if bizarre, premise of Rick rolling around the garage bench celebrating his pickleness soon turns dark for the pickle man who gets washed into the sewer. One of the bloodiest episodes of the series, "Pickle Rick" showcases Rick murdering dozens of rats for their body parts in order to construct an exoskeleton and make it out of the sewer. Climbing out of the toilet of a foreign embassy full of gun-totting fools, Rick's day of murder (involving knives, lasers, explosives, and Home Alone-style murder traps) has just begun. Sure, there are plenty of post-apocalyptic comics out there where zombies roam the desolate remains of the Earth, but how many star a former canine television star turned zombie killing machine? 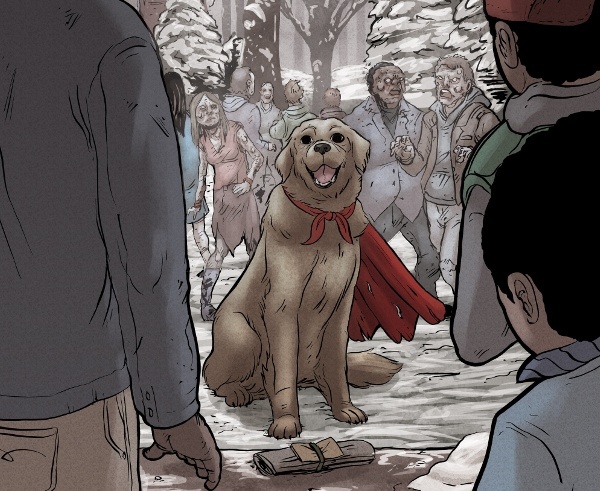 Dead of Winter: Good Good Dog #1 introduces us to Sparky, a Lassie-like former star, who now helps her friends fight off the zombie horde and rescue other survivors before they become part of the undead buffet. Teased at the end of the previous episode, "Built, Not Born" offers the return of Android's (Zoie Palmer) robotic friends who call on the Raza's help to cover-up a murder, get three of them off a space station, and deliver them to their creator. 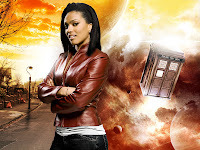 Although the motives of their robotic friends will remain hidden from the crew, Two (Melissa O'Neil) will get a shock when meeting Dr. Shaw (Palmer) who not only created the Android but also was one of the scientists responsible for creating her as well.